ie4uinit.exe is a legitimate file of Windows operating system from Microsoft Corporation. ie4uinit.exe is a Windows process, it is a part of IE 5.0 per user install utillity. It is generally stored in C:\Windows\system32. So the hackers and cyber criminials write malicious programs and name it as ie4uinit.exe to spread via internet. When the system gets very slow, or when system freezes often. Check for the process in task manager by pressing the combination of keys Ctrl+alt+del and go to the process and right click on the process to find the location, now if you find the process in c:\windows\system32 then the system is safe and secure or if it is found eleswhere then the system is affected by virus. How to remove the ie4uinit.exe file from system using Comodo Free Antivirus Software? 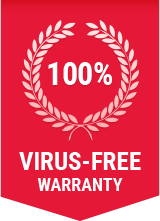 Step 1: Download and install the Comodo Free Antivirus Software. Step 5: The Comodo Internet Security takes some time to update the virus protection software. Step 8: Comodo Antivirus will remove the ie4uinit.exe virus from your computer and all other malwares!